The winter holidays are HERE! While you decorate the house and stress about getting it ready for the family, Chloe and Max are starting to stress about all the changes and strange smells. Ornaments, candles, tinsel, ribbons and wrapping paper seem to be everywhere! There are lilies, holly, mistletoe, and a tree in the living room. Grandma’s chocolate chocolate chip powdered sugar cookies are cooling on the counter and there are Christmas candies in every dish at dog-nose level – even the sugar-free kind for Aunt Bonnie because of her diabetes. Soon enough the kids will return from college and Uncle Jimmy will be the pets center of attention, doling out the fat from the ham. Everywhere your pets turn there’s another hazard staring them in the face – or worse – taunting them. This holiday season I ask the families that share their lives with pets to keep in mind the impact it has on their furry friend’s world. Yes, of course, you can still put up the tree but this is a great year to save the environment and get that fake one you have been talking about. That ornament made from the salt dough by your niece is super cute but could kill your pets if ingested and as for Uncle Jimmy, watch him – he’s one food scrap away from sending Max to the ER vet with pancreatitis. Below is a list of holiday dangers of which you should make yourself aware. Pay close attention to your pets, where they are and any odd behavior. 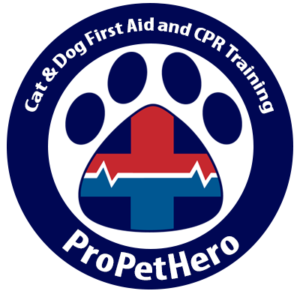 Take this pet first aid and CPR class NOW so that you can better recognize when Max has pancreatitis or Chloe licked the potpourri simmering on the stove. My intention is not to add more stress to an already stressful time of year. My point is to reduce the stress on you and them, take a second to step back and look at things from their view. 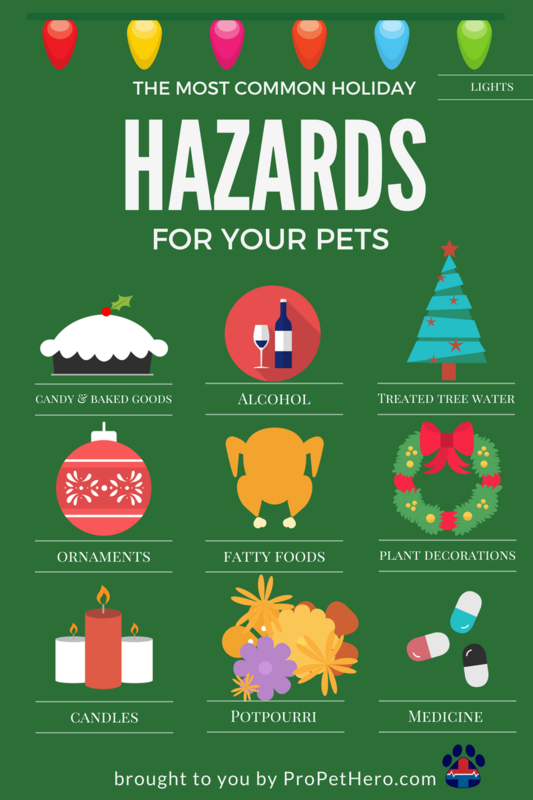 Keep your pets safe this holiday season and enjoy the time with your family instead of an ER vet waiting room. I am a veterinary nurse in Swansea and I am putting together a display of the dangers to pets at Christmas time. Would you be happy for me to use your information and posters? Ah that’s great. Thank you Cara!